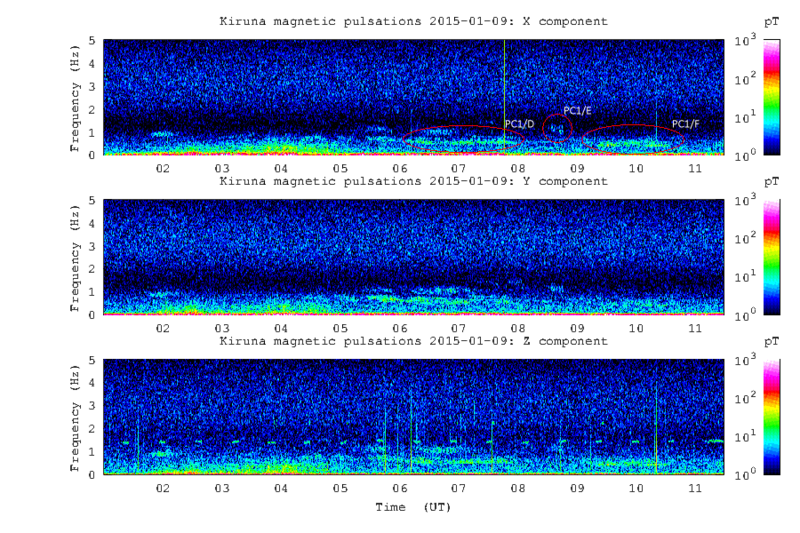 Geomagnetic pulsation, detected by IRF of Kiruna (http://www.irf.se/maggraphs/puls.php). 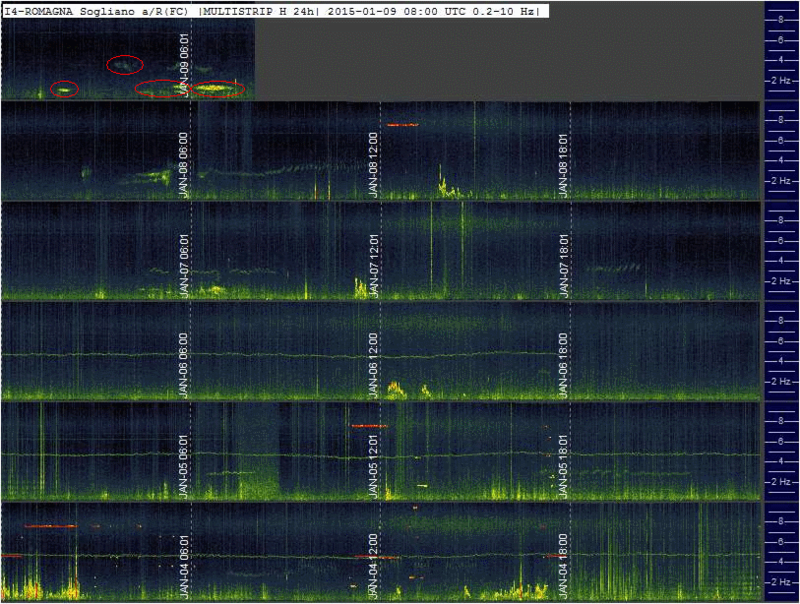 Strong and clear geomagnetic pulsation detected with induction coil, inside the red ovals. 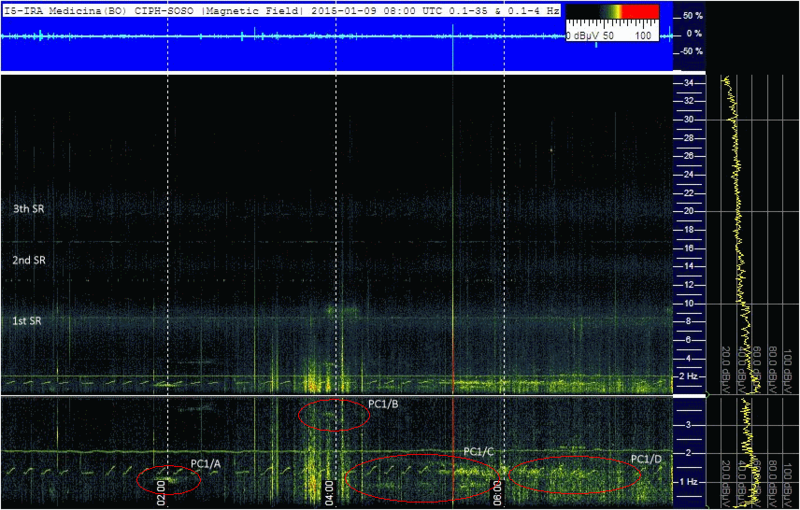 Schumann resonances marked in left side. 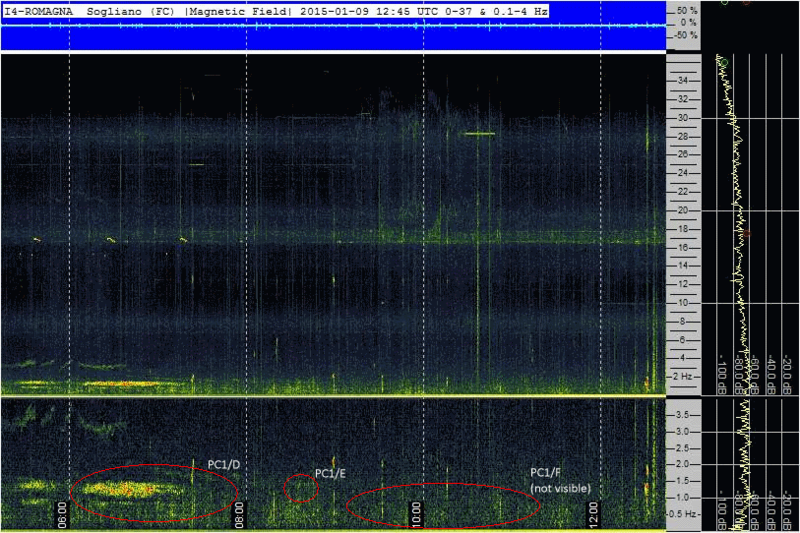 Signal into the white oval seems to be pulsation, but they are local noise. 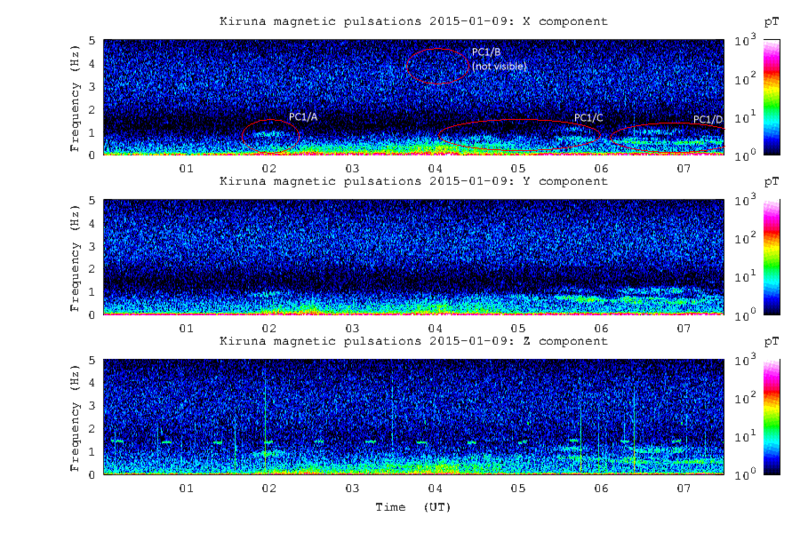 Geomagnetic pulsation detected with induction coil, inside the red ovals. 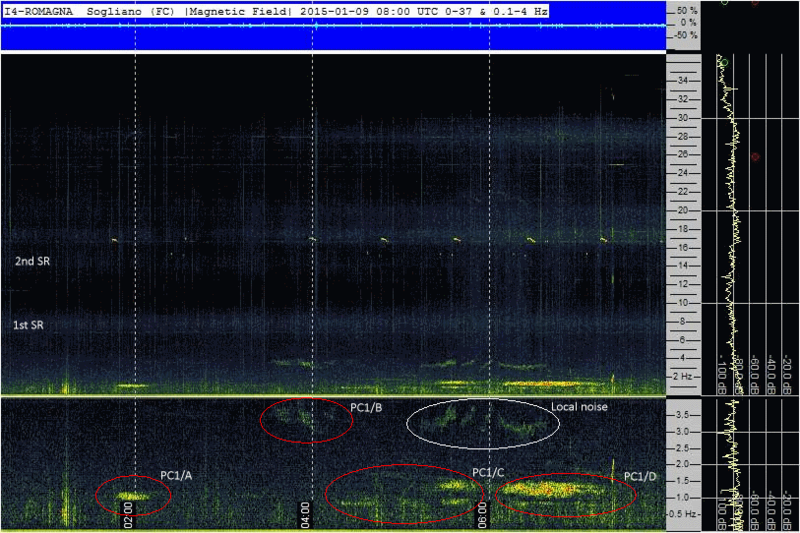 Schumann resonances marked in right side. 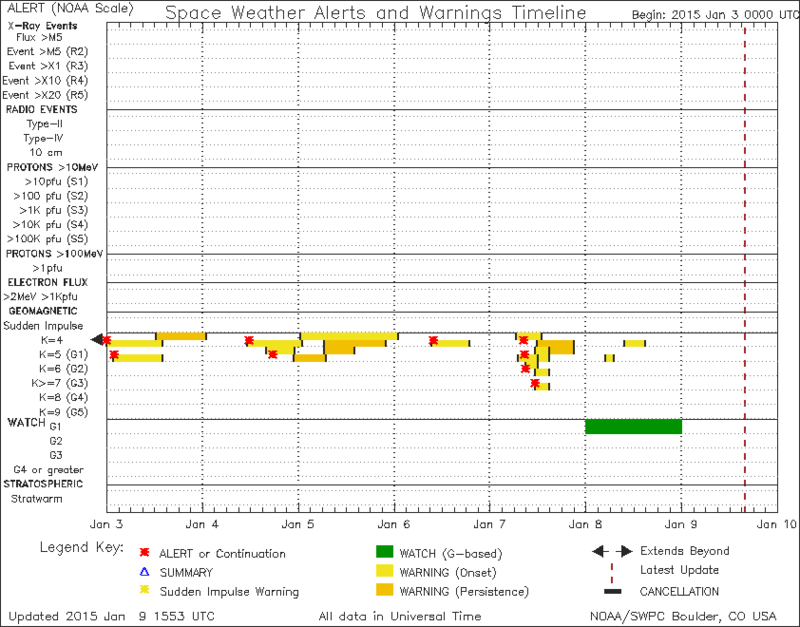 The geomagnetic activity continues even in the morning, after 8 UTC (see PC1/E and PC1/F). But it is no longer visible in Italy, at mid-latitudes, because this type of signal, is mainly nocturnal, like we can see below.